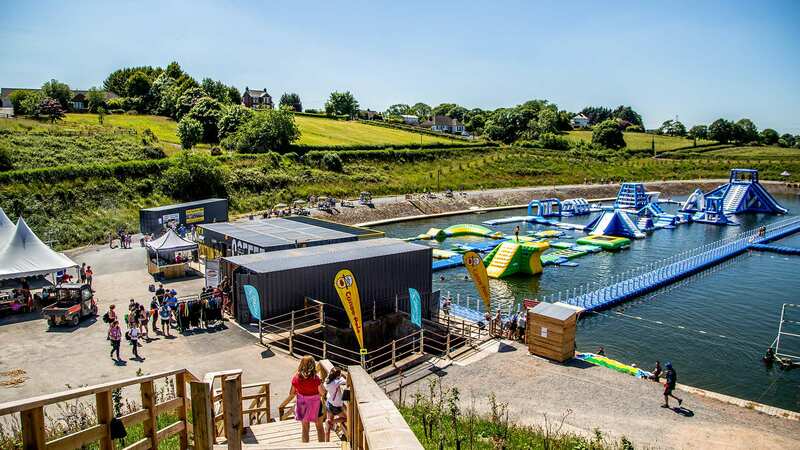 Q Radio has teamed up with Let's go Hydro - Belfast's BRAND NEW aqua park to give local groups the chance to win a visit to the outdoor resort this summer! The waterpark is situated on the stunning forested grounds of Knockbracken Reservoir and features an inflatable climbing wall, slides and lots more on the water - it's the perfect day for groups and families! You can also extend your stay at Let's go Hydro in a glamping pod. Enter your youth club, summer scheme or any other group below for the opportunity to enjoy a fun adventure at Let's go Hydro. You will get to splash around on the inflatable obstacle course for 50 minutes and have fun getting wet! Also, Q Radio will be broadcasting live during the group session at Let's go Hydro. Tune into Q Breeze with Gareth Stewart all this week to find out more! Visit the official website here for details on pricing, booking information and accommodation availability. Only youth groups, summer schemes, or local clubs are eligible to enter. The group visit will take place on Friday 3rd August 2018.